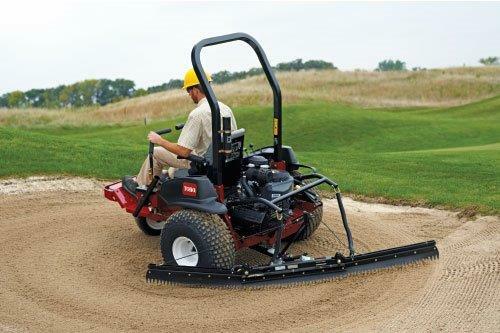 Smith Power Equipment (SPE) distributors of TORO Equipment in South Africa has announced the arrival of the all-new Sand Pro 2040Z which, according to SPE director, Lionel Coetzee, significantly cuts bunker grooming time and labour through unmatched manoeuvrability and productivity. “There are few jobs on a golf course requiring more time and effort than bunker maintenance,” says Coetzee. “The Sand Pro 2040Z, apart from its improved efficiency, delivers picture-perfect grooming in any shape or size bunker, even small, tight ones and those with very sloped walls,” he says.